Concept sketch: EPS Form Blocks with lead facing. Levy to stop aquifer migration. Water pump. 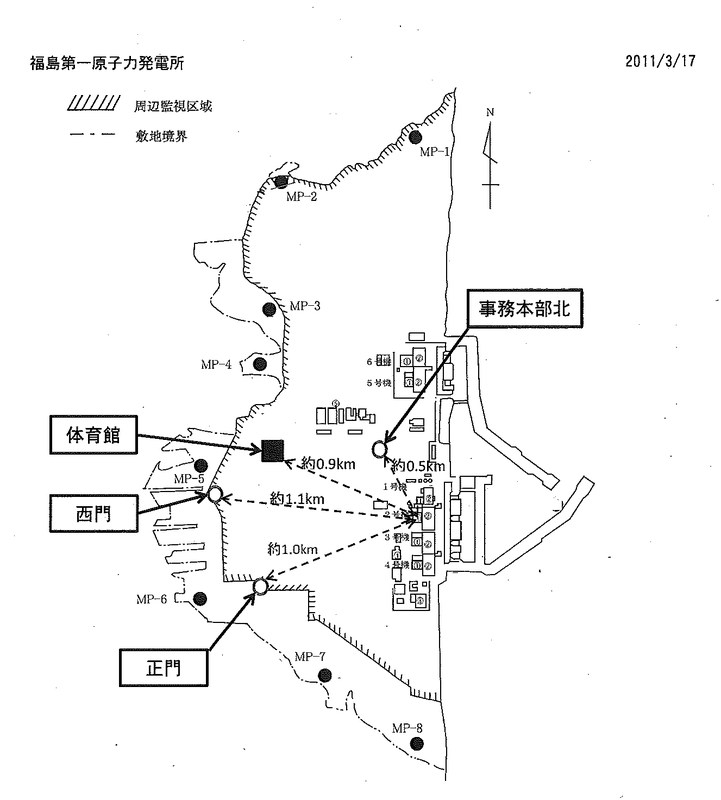 I am recommending in addition to whatever “road map” the operators of the facility issued December 2011, they consider the following. Redundant levy construction per above sketch. Temporary building wraps with lead impregnated tyvek or equal. Last year, an industry person was quoted as guessing that if there are full melt downs the material would likely collect in the concrete containment vessel floor rather than breech it. 1. A method to contain the releases that occur/occurred into the underground aquifer. 2. A method to prevent releases to the adjacent ocean. 3. A redundant enclosure to prevent atmospheric releases. 1. The Levy can perhaps be installed simultaneous to the conc. injection pumping. 2. Ideally the work would be conducted via robots or at least with long boom pumps, workers shielded. 3. Humans should be cycled through the workspace only in rare occurrences for as brief exposure as possible. 4. 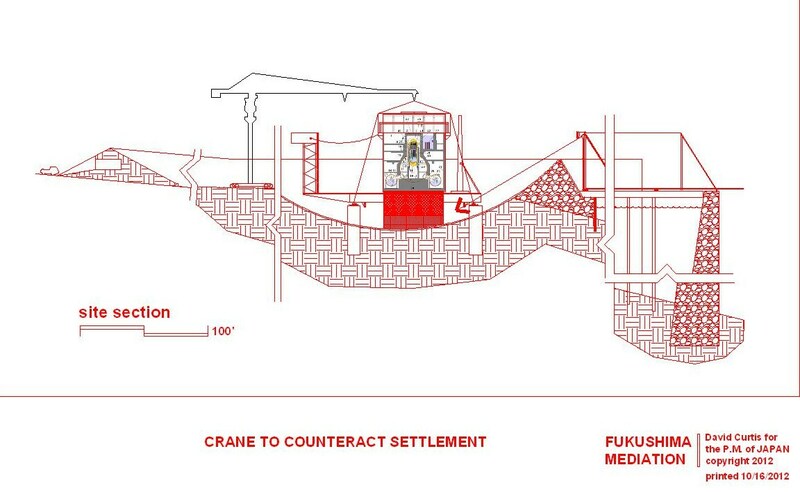 I do not know the best containment material, this sketch assumes pumped concrete. 5. Levy 2 is also recommended at x distance from Levy 1.